Georgia State and Georgia Tech established the Atlanta Global Studies Center (AGSC) with the intention of increasing student interest in gaining a global perspective. 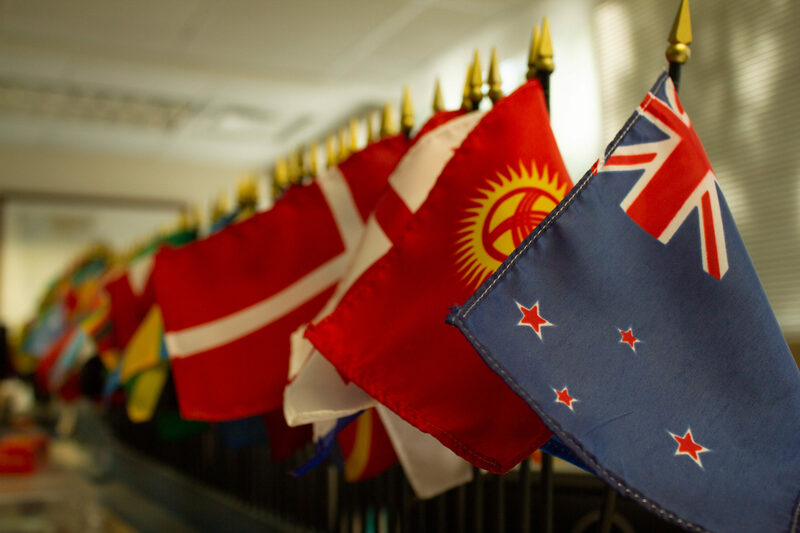 AGSC is a national resource center and a foreign language and area studies (FLAS) fellowship program funded by a $2.25 million grant from the U.S. Department of Education. “The Atlanta Global Studies Center will provide opportunities for economic and civic partnerships across the greater Atlanta region by leveraging the city’s status as a leading international corporate center and thriving multinational investment hub,” G.P. ‘Bud’ Peterson, president of Georgia Tech, said in a press release. Peterson said that the state of Georgia’s efforts in bilingual and dual-immersion education demonstrate the ever-growing need for a global workforce. “All students must engage in international education to succeed during the 21st century, both in the job market and as well-informed citizens,” Risa Palm, provost and senior vice president for academic affairs at Georgia State, said in a press release. Overall, a median of 92 percent of European students are learning a language in school, according to a report by Pew Research Center. But in the United States, only 20 percent of K-12 students are enrolled in foreign language classes, according to a 2017 report by American Councils for International Education. Dr. Tony Lemieux, the co-director of the AGSC and director of the Global Studies Institute at Georgia State, said that the center will also focus on increasing language learning from the ground up. They plan to help to provide more opportunities for students from underrepresented backgrounds in the region, focusing on fostering specialized instruction in international education and less commonly taught languages such as Arabic, Korean, Portuguese and Hindi. “The AGSC is an important step in further innovation of global curriculum, and I am thrilled about the enrichment it will provide to students and community,” Lemieux said. He said this will be facilitated through robust collaborations in research and instruction with Atlanta universities and with international organizations, consulates, refugee organizations and institutions of public service and higher education in the Southeast and nationally. “The ability to understand diverse perspectives, and to truly appreciate the value of diversity and inclusion that a global perspective amplifies is something that will be a focus of the center,” Lemieux said. The AGSC will also focus on enhancing student interest in language learning regardless of their major or concentrated study. For instance, a student may be interested in topics related to security or health and develop interest in particular regions and languages based on their field of study. Romat-Abiola Adeboyejo, a graduate student at Georgia State that works in university career services, said that employers prefer to have employees who can adapt to changing situations and who are culturally competent. “International experience can increase someone’s chances of getting a job, because it shows that a person is willing to explore new things beyond their comfort zone. It also shows that a person is taking the initiative to interact with diverse groups of people,” Adeboyejo said. With the changing demographics in the United States, Adeboyejo said she foresees the demand for bilingual employees increasing. “If a company is located in an area with a heavy Spanish-speaking demographic, they will most likely want to hire someone who is bilingual in English and Spanish. Speaking two languages is a hard skill and can help a company improve the services that they provide,” Adeboyejo said. AGSC plans to enhance career readiness by helping students to connect their experiences and learning. “[We] will be not only stressing the importance of how to develop that global perspective and identity, but also actively working on enhancing the skills necessary to put knowledge into action,” Lemieux said. He is especially excited for the AGSC to explore efforts to better serve heritage language speakers—those who have learned a language in informal settings. “There are tremendous opportunities to serve them, and to draw on their expertise as well! As a National Resource Center, we are working to create a model and an example that can have a reach that extends broadly,” he said. He thinks that one of the core strengths of the AGSC is the diversity of both student populations at Georgia State and Georgia Tech, as well as the city of Atlanta itself. “The ability to think about challenges and opportunities by incorporating multiple perspectives is one of those kinds of skills that will transfer across all sectors, and all types of careers,” Lemieux said.